Aishwarya Rai Defines Royalty In Tarun Tahliani’s Saree! Aishwarya Rai Bachchan attended the Women Of Worth Awards. 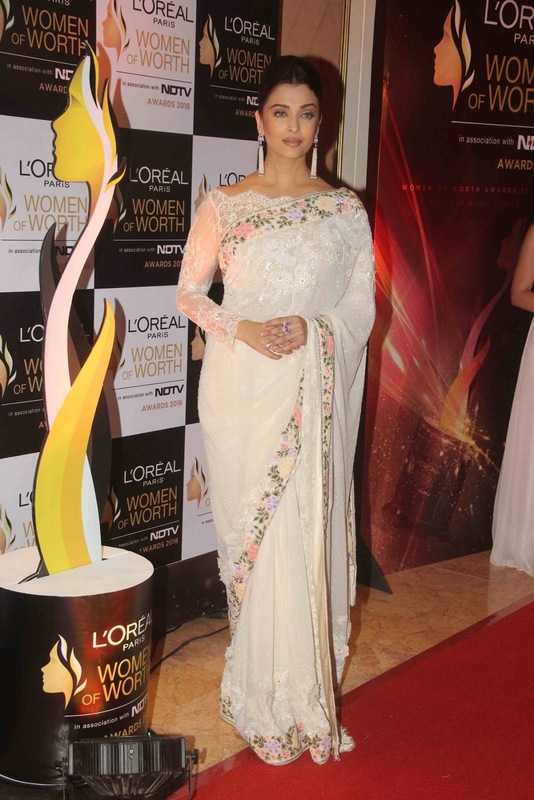 She looked ravishing in a Tarun Tahiliani’s white saree with a floral fringe border. She paired her saree with all lace off shoulder blouse. She accessorized her beautiful look with tassel earrings and a ring. Don’t you guys want to steal her look?